Alarm clock created for the airline crew member, especially if you cross a lot of time zones. Always see your home time and date. There are also two pages for you to load photos from your Camera Roll of your Calendar or Trip or whatever you like. If you have another app that shows an organized Calendar and Trip, it is best to take a screen shot of each and load into the Alarm Clock. Change them as often as you like. If possible, the app should be kept on overnight with the phone plugged in to conserve battery life. If you can't do that, it still works by sending out an Alarm notification. 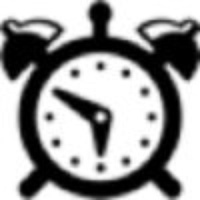 Check these links to find your download for Crew Alarm Clock for & iOS or for your device iPod TouchiPhoneiPad. The app Crew Alarm Clock is compatible with te following devices.